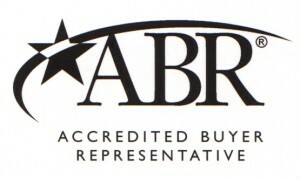 Hire a Utah Real Estate Agent that has the ABR Designation. "For real estate consumers, the one credential to look for is the Accredited Buyer Representative (ABR®) designation from the Real Estate Buyer's Agent Council of the National Association of REALTOR'S"
Hire a ABR Realtor in Utah County to Represent You! Smart home buyers in Utah work with a buyer representative, whom they hire specifically to represent them. Especially members of the NATIONAL ASSOCIATION OF REALTORS® who have achieved the ABR® designation, which stands for Accredited Buyer's Representative. State law governs the duties real estate licensees owe to consumers. This designation is awarded by the Real Estate Buyers Agent Council. The requirements include coursework and practical experience. The designation helps a consumer know that the Realtor the person hires is committed to the highest standards of ethical practice. ABRs have the training and experience to help buyers through the entire transaction process from selecting a property through the close of escrow. Start your Utah Real Estate Search Today! Let Paul know which homes you are interested in seeing. Write down the MLS Numbers. This is the identification number of the particular home. It is okay to use your own lender. If you are looking to hire a Utah County Lender be sure to checkout our Directory of Utah County Lenders. Do you want to hire a Realtor with the Utah Real Estate ABR Designation? It is important to get a pre-qualification letter from a lender before you start shopping for a home. You will need this letter once you find a home. If you find that perfect Utah County Bank Foreclosures late at night and want to quickly write an offer you will wish you had the letter. If you still need a lender Paul will suggest a few good lenders in Utah County. Remember, Paul is a certified Accredited Buyers Representative. Paul has the Utah Real Estate ABR Designation. Hire a Utah Accredited Buyers Representative.